Lakeshore Players Theatre has been the community theater in White Bear Lake for 65 years. Even though I'm kept very busy by professional #TCTheater, I'm a little ashamed to admit I've never attended an LPT show despite living in the Northeast metro. This spring, they're opening a brand new performing arts facility just off of Highway 61 in downtown White Bear Lake, which speaks a lot to their audience and donor support, as well as to their commitment to continuing and furthering their legacy. This new building, combined with the fact that their first show in the new space is one of my favorite Sondheim musicals, convinced me to make the short drive to finally check them out. 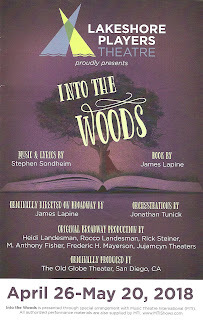 I was impressed not only with the new facility, but also with the quality of their production of Into the Woods. 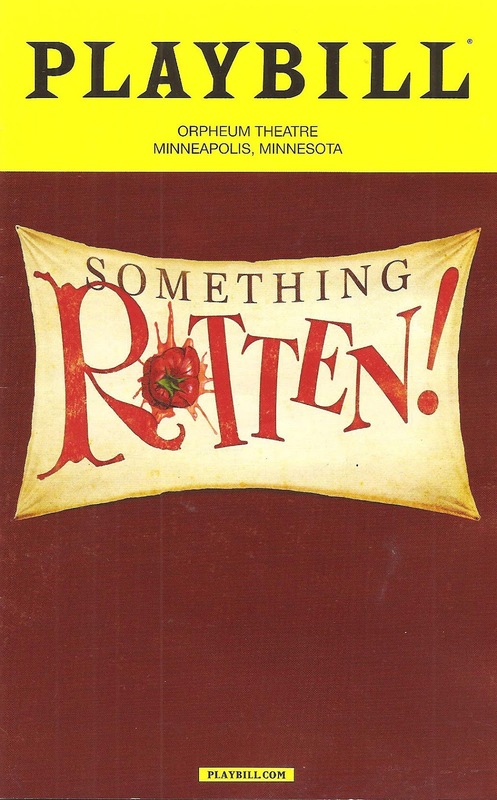 Sondheim isn't easy for professional theaters, much less community theaters, but there were zero cringe-worthy moments and they really pulled off this tricky show remarkably well. "Life is better when you're laughing." Or at least that was the sidewalk chalk wisdom I saw on my morning run today. But there definitely is truth to it, and if you're in need of more laughter in your life, there's no better place to go for consistent laughs any night of the week than HUGE Improv Theater, a home for improv in Uptown Minneapolis. HUGE hosts a variety of improv troupes, with shows almost every night. Most shows are about $10 per ticket, and if you go on a Friday or Saturday night, you can see multiple shows at a discounted price. A small price to play for a lot of laughter. 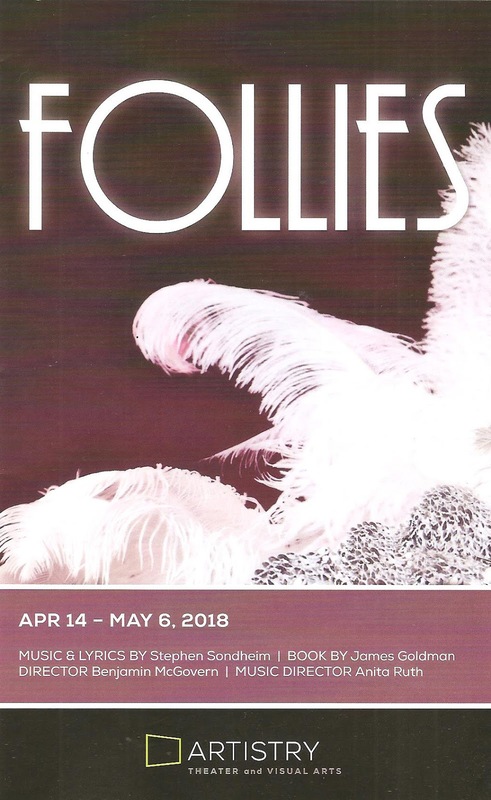 Artistry's production of Stephen Sondheim's 1971 musical Follies, the final show of their 2017-2018 season, opened two weeks ago, but the Great April Blizzard of '18 caused them to cancel several shows on their opening weekend. I finally had the opportunity to see it this weekend, and it was worth the wait! Having seen the 2011 Broadway revival, I knew what a gorgeous, but complicated, musical Follies is (does Sondheim write any other kind?). During my two-week delay in seeing the show I've been listening to the 2011 recording, so I was primed and ready for this show, and I loved every minute of it. Music Director Anita Ruth's 21-piece pit orchestra, Director Benjamin McGovern's large and talented cast (which includes three Equity actors, perhaps the most I've seen in a single show at Artistry), plus the dazzling design do justice to Sondheim and book writer James Goldman's complicated and beautiful musical. Congratulations to Artistry for tackling tricky Sondheim and pulling it off beautifully! 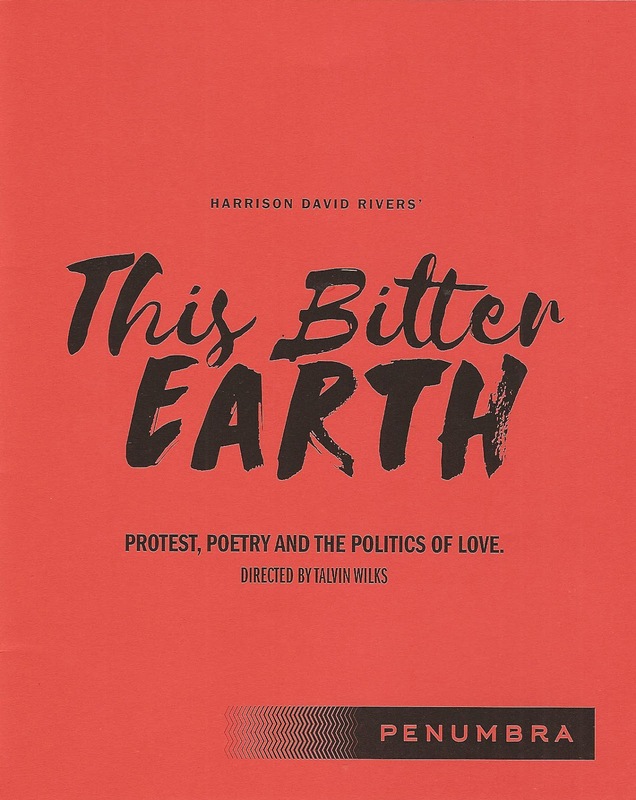 Playwright Harrison David Rivers is having a moment here in #TCTheater. This spring he's had two world premieres (History Theatre's A Crack in the Sky and Theater Latte Da's Five Points, with music and lyrics by Ethan D. Pakchar and Douglas Lyons), and his play the bandaged place was the final reading in the Playwrights' Center's (where he's a core writer) Ruth Easton series earlier this month. 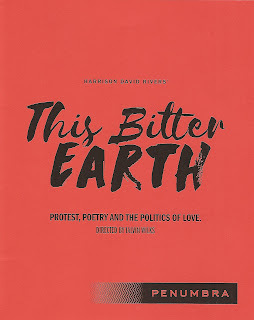 And now, the jewel in the crown of Harrison David Rivers' 2018 #TCTheater productions is Penumbra Theatre's regional premiere of This Bitter Earth (which premiered at San Francisco's New Conservatory Theatre Center last fall). This brilliant play artfully combines the political (referencing several of the killings of young black man in recent years, interracial relationships, and gay rights) with the personal (an achingly beautiful love story). 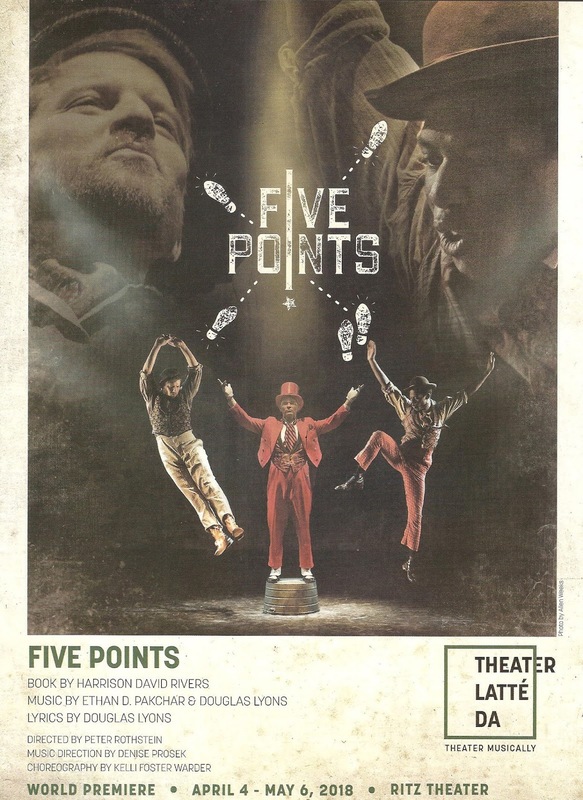 The talented two-person cast and creative team have created a visually and emotionally stunning production that engages the mind, the conscience, and the heart. 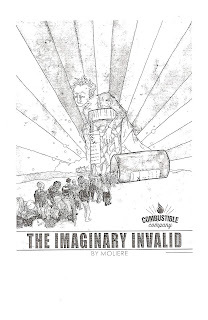 Last night in the cozy intimate space of Yellow Tree Theatre, in a strip mall in Osseo, I saw a world premiere new play that's unlike anything I've seen before. As someone who sees a lot of theater (and I mean a lot), that's a rare occurrence. While playwright Jayme McGhan's Still Dance the Stars reminds me a little of the Pulitzer Prize winning musical Next to Normal, in that it deals with parents grieving the loss of a child in different (and sometimes hallucinatory) ways, the storytelling is completely unique, combining very real and natural dialogue, fantastical dream sequences in which stuffed animals come to life, dance, and music to tell a heart-wrenching and heart-warming story of grief, love, and family. 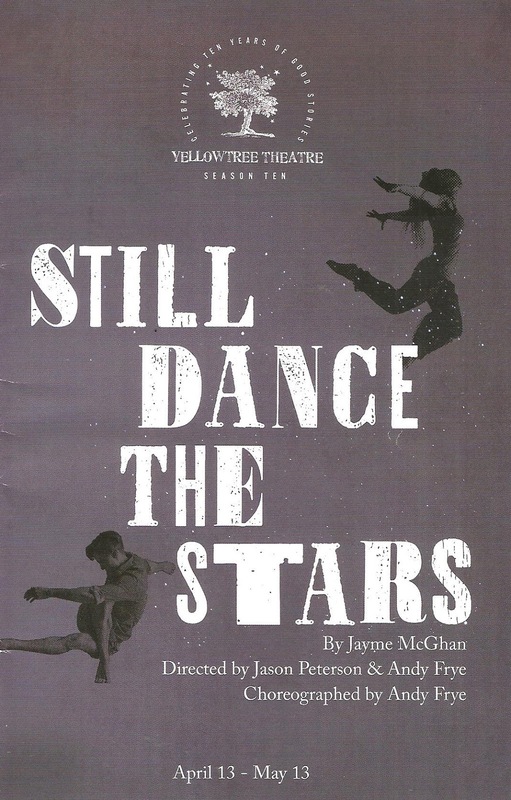 It's a great choice of play for Yellow Tree, my favorite theater in the 'burbs, and the cast and creative team do a beautiful job of bringing the play to life with all of its humor, grace, silliness, and beauty. 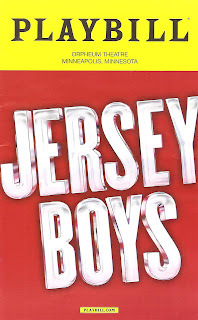 Jersey Boys is my musical theater guilty pleasure, and the exception that proves the rule about jukebox musicals. Meaning, I'm not usually a fan of taking popular hit songs and creating a musical around them; I much prefer new original musical theater. Except for Jersey Boys, which I can't help but love and see every time it comes to town (four and counting). After running for over 11 years, the Tony-winning musical closed on Broadway last year, but is still touring the country, stopping at Minneapolis' Orpheum Theatre this week. The reason I love it is not just because of the fantastically catchy music of Rock and Roll Hall of Famers Frankie Valli and the Four Seasons, the sharp choreography, and the retro fashions. But because all of this is put together very smartly in the true story of the group, dealing with the good and the bad of fame and living in the music industry. If you've seen Jersey Boys at some point in the last 12 years, you know what I'm talking about. If not, it's not too late to check out this smart, funny, and musically delicious jukebox musical that gives you a peek inside some of the best known American pop songs of the last century (click here for more info and tickets). 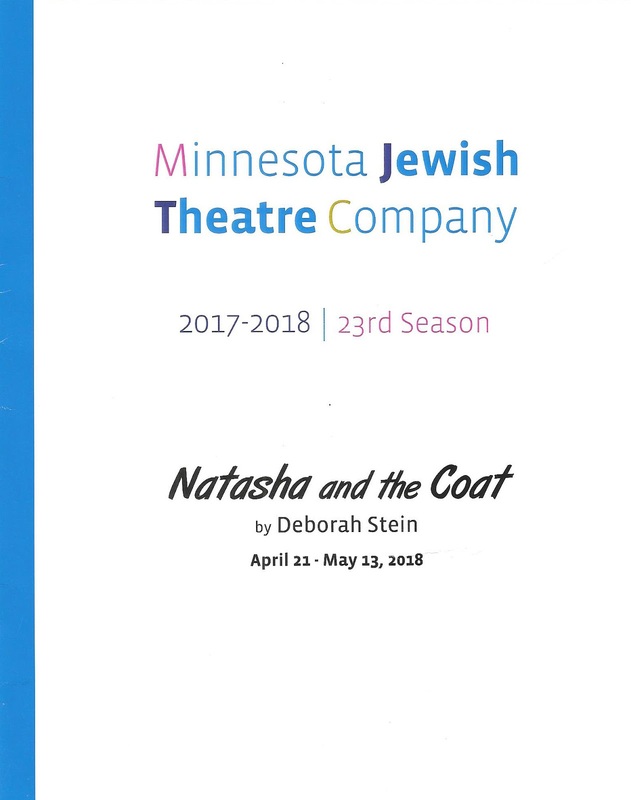 For the final show of their 23rd season, Minnesota Jewish Theatre Company is bringing us the world premiere of a new play. 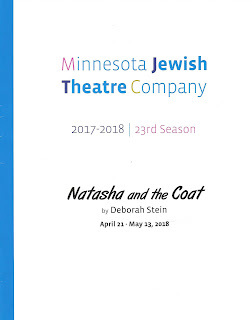 LA-based playwright (and Playwrights' Center affiliated writer) Deborah Stein's Natasha and the Coat is an engaging look at a Hasidic Jewish family in the neighborhood of Williamsburg in early 21st Century Brooklyn, as well as the garment industry in that neighborhood. It touches on themes of immigration, gentrification, and how to maintain one's culture and traditions while still functioning in modern American society. While it could use a little tightening up (it's lacking in momentum in parts, and feels too long at 2.5+ hours), the likable and believable cast make it worthwhile. The long, complicated, sordid tale of the English monarchy is the source of much drama and many many plays. Wars, illegitimate heirs, beheadings, oh my! 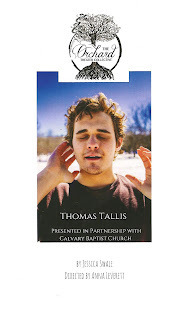 The play Thomas Tallis looks at it from another side, through the life of a man who was a surprising constant through some of the most tumultuous changes in the monarchy in the 16th Century, from Henry VIII through Elizabeth I. As composer for the Church of England, Tallis worked under four different monarchs with differing religious and musical tastes, and somehow survived to the ripe old age of 80 with his head still attached to his body. Jessica Swale's sparse play doesn't get into too many details about the composer or those he worked for, but it does paint a portrait of the artist, the era, and the importance of music. 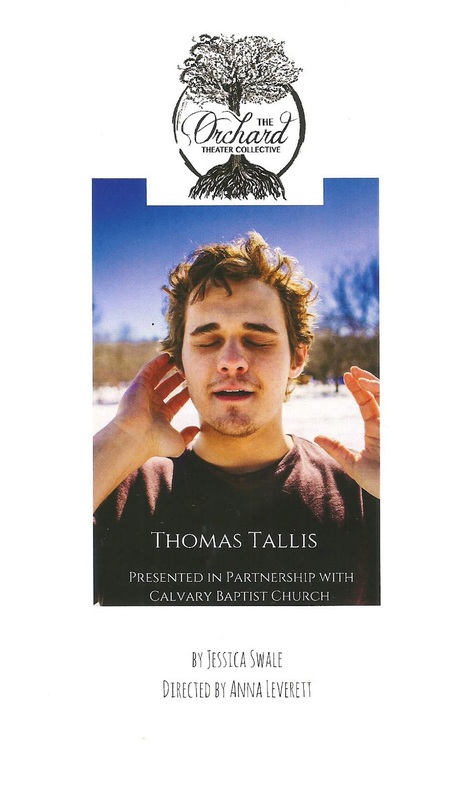 New young theater company Orchard Theater Collective has chosen this play as their second work, staging a lovely and haunting production in Calvary Baptist Church. Unless. What a powerful word. So many scary things might happen. Unless. Unless what, you ask? "Unless someone like you cares a whole awful lot, nothing is going to get better. It's not." The best thing to happen lately in this dark and scary world is people caring a whole awful lot about things, and taking to the streets and the polls to make them better. That's the heart of Dr. Seuss's story The Lorax, which specifically is talking about the environment, nature, the wilderness around us. 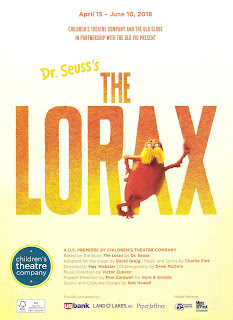 The Old Vic Theatre in London has turned this beautiful story into a charming, playful, and poignantly relevant musical that is now receiving its US premiere at Minneapolis' Children's Theatre Company (in conjunction with San Diego's Old Globe Theatre, where it will play this summer). It gave me all the feels, and had me walking down the street on this first truly spring-like day in wonder. Such is the power of theater, of stories, of people who care a whole awful lot. Eric Coble's play The Velocity of Autumn ran for just a month on Broadway four years ago, and I was lucky enough to see it. I really don't understand why it was such a short run, except that maybe the intimate family story plays better on smaller stages. 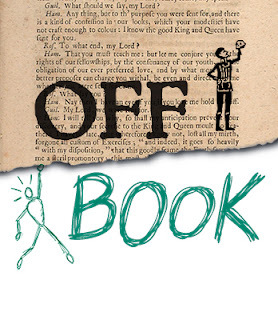 Seeing it again at Old Log a few years ago confirmed my opinion that it's a beautifully written play, smart and funny and poignant and relatable. I have now seen my second Eric Coble play, thanks to the small theater company Market Garden Theatre producing My Barking Dog in the Crane's intimate (and not yet completed) studio space. This play is also beautifully written, although much different than The Velocity of Autumn. 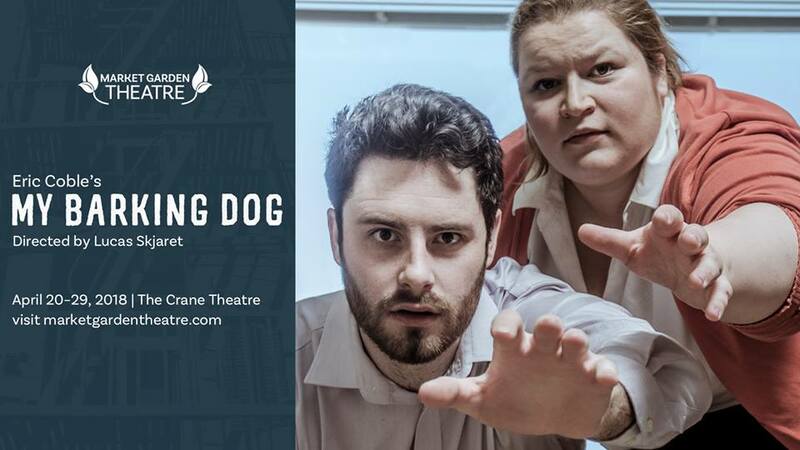 My Barking Dog starts off as a real and relatable story of two individuals, and then veers off into the fantastical, but it's a journey I was happy to take because of the beautiful, odd, surprising script and the strong performances by the two-person cast. 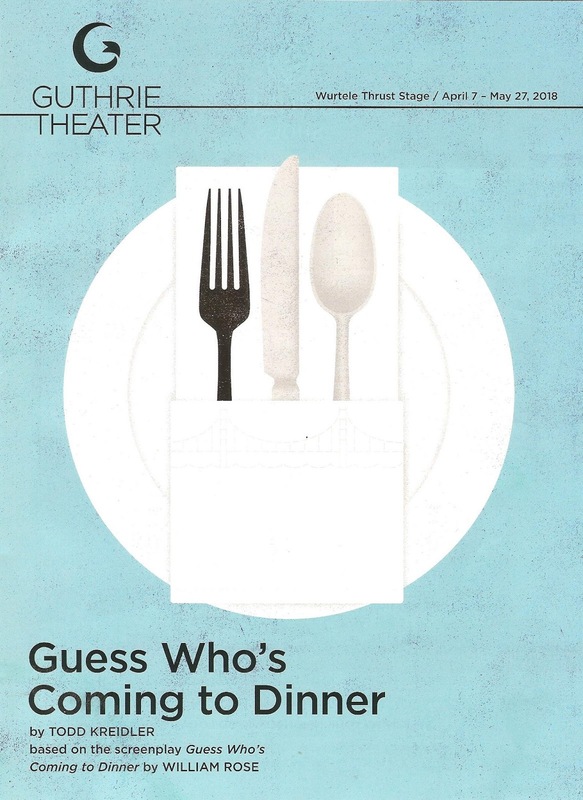 The 1967 movie Guess Who's Coming to Dinner is a classic, but I don't think I've ever seen it. Or if I have, I don't remember it. But because this movie has become such an integral part of our culture, even people who haven't seen the movie know the premise: a young woman introduces her black fiance to her white family, who, despite being liberals who believe in racial equality, have trouble accepting the relationship. A stage adaptation of the movie was written just a few years ago (by Todd Kriedler) and is currently showing on the Guthrie mainstage. Why tell this story 50 years later? In a world in which black men are arrested for sitting at Starbucks, it's still an important and unfortunately relevant story. But it does feel a little too easy for the mostly older white audience to laugh at these people's reaction in a past we may think we've overcome, but which we obviously haven't. A dark fairy pursues two teenage mothers in Caryl Churchill's The Skriker, receiving a rare production thanks to Fortune's Fool Theatre. 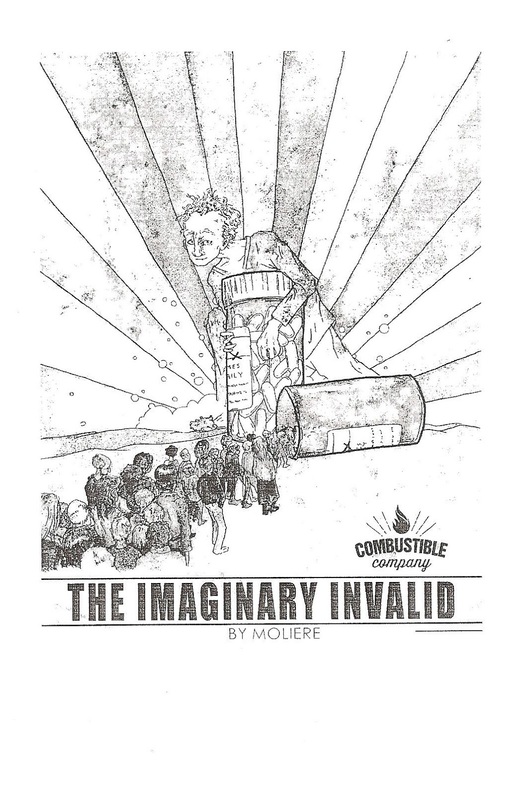 It's an ambitious undertaking, with a huge cast of 17, fantastical elements, and complicated often nonsensical dialogue. 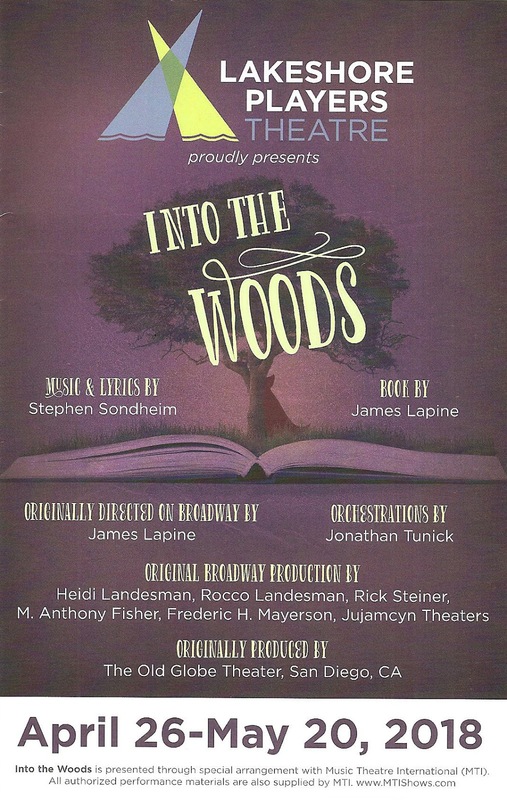 While I have to admit that the play is a little too weird for my taste, I can recognize the talent, artistry, and hard work that has gone into making this unique and striking piece of art. 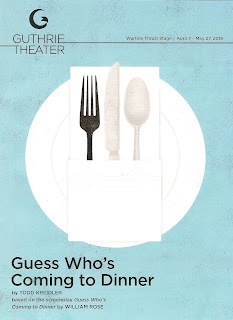 When you need to dig in your purse for a tissue to blow your nose after seeing a play, you know it was a good one. 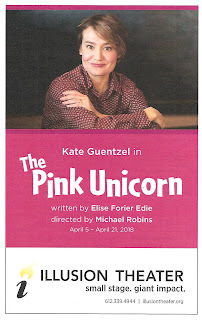 I don’t cry, but @IllusionTheater #pinkunicorn made me cry with its beautiful message of love, hope, & acceptance. Thus reads my 280-character immediately post-show Twitter review of Illusion Theater's production of the one-woman show The Pink Unicorn. Kate Guentzel plays the widowed mother of a teenage girl who one day says she doesn't identify as a girl, she's gender queer. In Elise Forier Edie's beautifully written play, we witness this small town woman's journey to reluctant activist, all for the love of her child. With this very personal script in Kate's deft hands, it's a incredibly moving experience. 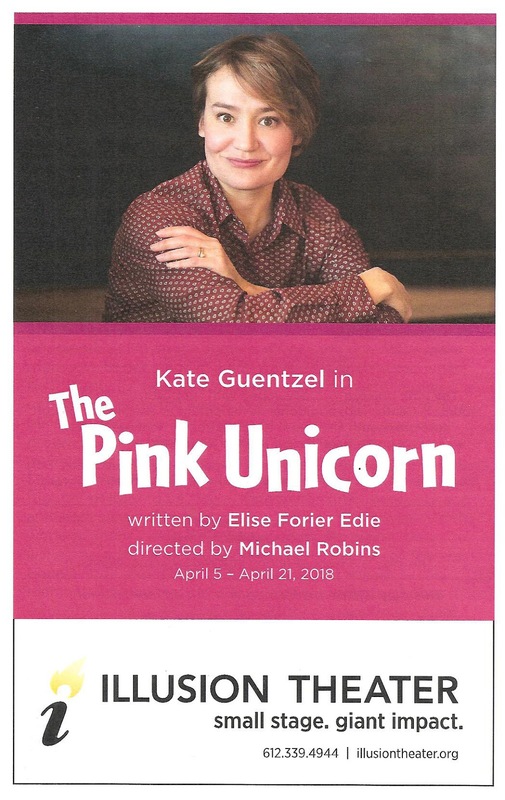 The Pink Unicorn plays for three weekends only, so waste no time in making your way to Illusion's inviting space on the 8th floor of the Hennepin Center for the Arts in downtown Minneapolis (click here for more info and to purchase tickets). Welcome to the Renaissance! The day after seeing the hilarious fictional farce about (all male) playwrights in Shakespeare's day, I saw an actual play written by a female playwright of the era. Who knew that there was a successful female playwright who lived and wrote shortly after Shakespeare's time? I didn't. Susanna Centlivre was one of the first women in history to make a living as a playwright, and was also an actor in the era just after women were allowed on stage in England. With the current necessary focus on putting more women's stories on stage, it's a great idea to revisit female playwrights of the past who have been largely forgotten. 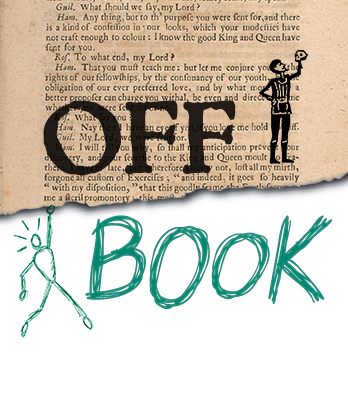 Thanks to Persistent Theatre Productions, a new #TCTheater company with a "feminist voice," for bringing us one of Centlivre's works. I know it's hard to believe today with all of the snow, but it's April! 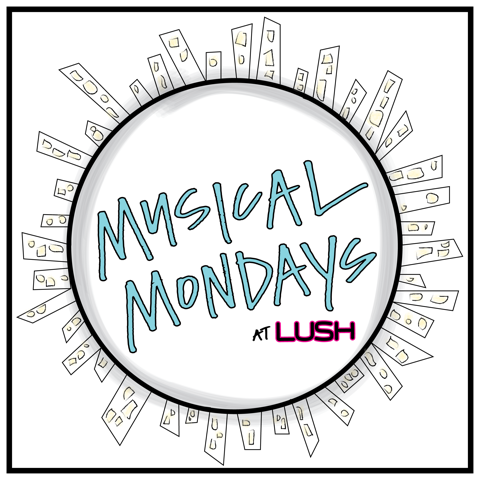 And with the beginning of a new month comes the fabulous monthly cabaret series Musical Mondays at LUSH! It's the 57th installment of this series, and as co-host Max Wojtanowicz noted, they're not running out of talented performers; the talent pool in this town is that deep. 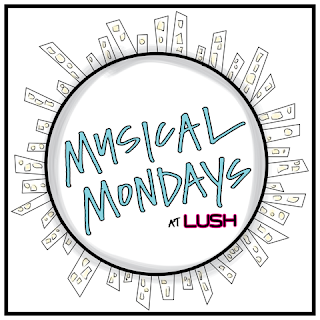 This month, six performers sang songs from Tony Award-winning musicals or performances. Because of that I knew most of the shows referenced, but as always there were a few surprises/educational moments. 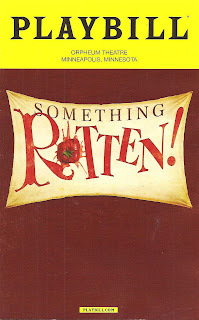 And of course, many entertaining, funny, and thrilling musical moments. I don't do sports. Except for being a lifelong Twins fan (and running an occasional marathon), I have zero interest in sports. I didn't even watch the recent Olympics. But for some reason, sports makes a compelling subject for theater (e.g., Mixed Blood's 2014 production of Colossal). Maybe because of the inherit drama in sports (teamwork, villains, exciting wins, devastating losses), playwrights are able to use sports as a metaphor for life and tell a really compelling story. 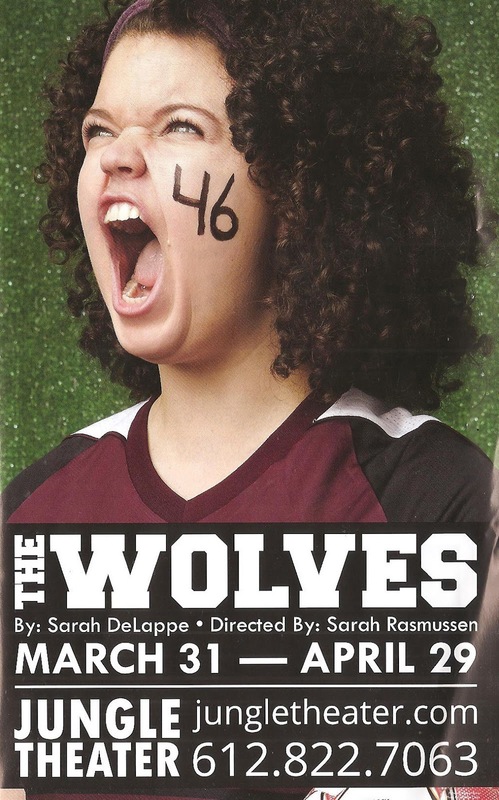 The latest example of this is Sarah DeLappe's story of a girls' soccer team, The Wolves, a finalist for the 2017 Pulitzer Prize. Jungle Theater's Artistic Director Sarah Rasmussen worked hard to get this play at the Jungle, and directs it herself, leading an excellent all-female cast and creative team. The result is a very real look at young women today, touching on many issues without exhausting any of them. It's a fantastic 90 minutes of theater that truly feels like eavesdropping on these characters' lives, in which the simple becomes profound.